A new water-based process is being developed for washing metallurgical coal samples from BC coal mines prior to coal and coke quality testing. Copyright held by Geoscience BC. Please credit Geoscience BC when using this movie. Coal is BC’s largest export commodity. It is valued at over $3 billion dollars annually (view report) and supports more than 26,000 jobs. To determine if the water-based ‘Roben Jig’ process can be commercially used to wash a broad range of coal types found in British Columbia coking coal basins to an equivalent or superior standard to traditional methods. The main benefit of washing coal samples using the water-based Roben Jig is to decrease the safety risk associated with the handling and use of organic liquids such as PCE. PCE is a known carcinogen and poses a safety hazard for laboratory operators who must handle the chemicals carefully to avoid exposure. 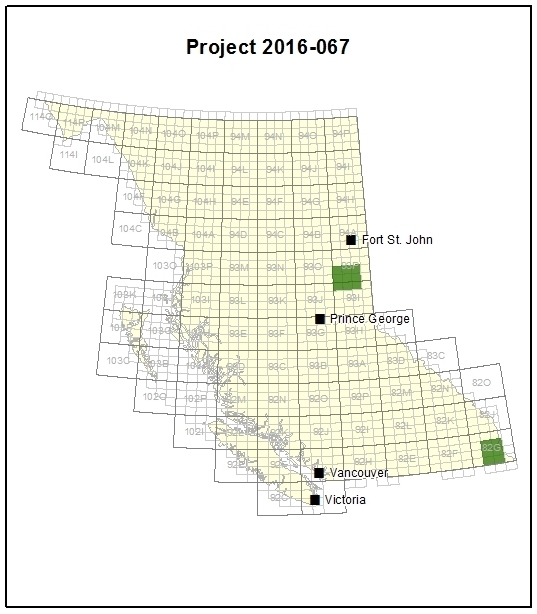 The four raw coal samples tested in this project were collected from coalfields in northeast BC, between Prince George and Fort St John, and in southeast BC, east of Cranbrook. The coal samples were shipped to an accredited coal testing laboratory in Calgary. For each of the samples tested during the first phase of the project, the Roben Jig was able to clean the coal to create a sample that offered the same or more realistic measures of the coal quality characteristics when compared to the float/sink-based sample, without exposing laboratory workers to harmful chemicals.